In February 2018, Council entered into a license agreement with Dropbike for the purpose of operating an 18 month bikeshare pilot in Kelowna. The pilot began in the spring of 2018 and is operated by Dropbike at no cost to the City. A bikeshare program is a system of bicycles available for short term rental that allows users to get a bicycle at one location and drop it off at another. "Dockless" or "stationless" means the bikeshare system has no physical stations or hubs, but instead has designated zones (called havens) where bikes will be placed and locked, ready for the next rider. Dropbike is a Canadian bikeshare company. They have operated dockless bikeshare pilots within Toronto, Montreal, and Kingston, Ontario. Staff have recommended Dropbike as the operator for the pilot as they were the only company to meet all the requirements identified in our framework for a bikeshare pilot. What are the benefits of a bike-share program? There are many benefits we expect from a bikeshare system in Kelowna. The following are a selection of some of the benefits we expect to see in Kelowna. The first or last part of the trip between the bus stop and a user’s final destination is one of the main challenges that often pushes residents from regularly using transit. Bikeshare can help connect residents to higher order transit services and make transit the first choice. A 5-minute walk is roughly 400m, by bike you can cover 4 times that distance. Multimodal trips using bikeshare in other cities have been integrated into trip planning software (such as Transit App) to make trips more flexible and ultimately faster. In many cases bikeshare might enable transit riders to eliminate a transfer or more seamlessly feed into higher order transit. While multiple bikeshare models deliver different types of data, the bikeshare pilot would give us access to anonymized data about start and end points as well as travel patterns for users. This detailed bicycle data would help the City of Kelowna make better decisions in prioritizing infrastructure and understanding where people are biking. A bikeshare system will provide additional transportation options to Kelowna residents that will help to reduce auto dependency for certain residents in our community. Roughly 20% of all bikeshare trips in other cities would have been made by automobile. Bikeshare is supportive of Kelowna’s GHG reduction goals as described within the draft Community Climate Action Plan. The creation of additional cycling infrastructure and programs aligns with the Pedestrian and Bicycle Master Plan. A bikeshare system could potentially support Council’s objective that “by 2036, 25% of all trips less than 5km in length are made by walking and cycling”. In cities with bikeshare, they found a decrease in injury rates (per km ridden) with respect to both general injury and head injury compared to numbers from control cities without a bikeshare system. Bikeshare collision and injury rates are also lower than previously calculated rates for personal bikes. Bikeshare programs are typically affordable and low cost to use. The availability of bikes for point to point rental improves transportation choice for Kelowna residents and visitors. Using data from Capital Bikeshare in Washington, DC researchers have found measurable reductions in automobile congestion following the introduction of bikeshare programs. This is a possibility with a bikeshare system in Kelowna but would depend on various factors. Bikeshare systems are attractive for tourists and visitors to Kelowna who want to experience the city without the cost and inconvenience of driving and parking. A bikeshare program would be a valuable amenity that would improve the experience of many visitors and enable tourists to visit businesses and attractions beyond a comfortable walk. Tourism Kelowna has expressed their support for a bikeshare system. How can the public help shape Bikeshare in Kelowna? At the end of the pilot, we will be conducting two surveys. One to bikeshare members and one to residents, helping us understand how people felt the pilot went. Will these bikes get stolen? Dockless bikeshare systems equip all of their bikes with LTE and GPS technology. This enables Dropbike to know where every bike is and report stolen bikes to the authorities with exact GPS coordinates. Additionally, the bikes have non-standard bicycle parts, limiting their salvage value. Why isn't the City requiring shared helmets to be provided? Through staff’s evaluation of the safety impact of bikeshare in other jurisdictions and through stakeholder engagement the question of how we design this service to comply with the mandatory helmet law and the safety of riders has been considered. Bikeshare users are expected to follow bylaws, including rules of the road for their safety and safety of others. Although we initially considered shared helmets for the pilot program, we have decided not to pursue this option for two reasons, safety and hygiene. Helmets are designed such that their effectiveness is greatly reduced after a primary impact. It would be extraordinarily burdensome to continuously test and guarantee the safety benefits behind a helmet fleet that could climb to more than 1000 helmets over the course of the pilot. From a safety perspective there would be no guarantee that a previous rider hadn't damaged the helmet that would accompany your bike. If a rider was injured while wearing a helmet that had experienced prior impact, there is a potential for this risk to be borne by the bikeshare provider and the City because of the lack of safety precautions and system-wide helmet tests. The vast majority of bikeshare systems don’t provide helmets with bicycles. Still there are jurisdictions, where bike helmets are shared on bikeshare. These systems exist mainly where mandatory all ages bike helmet laws are in effect and where the municipality pays the upfront capital cost for the system. The most notable examples of this are, Seattle’s, now defunct, Pronto service, Mobi in Vancouver and Melbourne Bikeshare in Australia. Staff have not found a measurable difference in terms of helmet use per rider when comparing systems that offer helmets vs jurisdictions that do not offer helmets and expect riders to bring a helmet with them. Bikeshare has a historically lower rate of helmet use than personal bikes. We expect the mandatory helmet law in BC to bump up helmet use in Kelowna’s bikeshare system compared against jurisdictions without an all ages helmet law. Outside of shared helmets, there are certain things staff should do that could grow the proportion of riders wearing helmets while on the bikeshare fleet. One such idea is to ensure information about the helmet law and discounts on helmets are available through the provider’s app or other point of sale application by partnering with local bike helmet retailers who want to participate. How was Dropbike selected as the proponent for the bikeshare pilot in Kelowna? Staff were working on the delivery of the Pedestrian and Bicycle Master Plan. The plan recommends that staff “research and develop a strategy to demonstrate which programs would … grow the share of residents selecting active modes of transportation”. Through this research, staff discovered an evolution in the bikeshare industry with regards to cost and operating models available. In December 2017, Council directed staff to "bring forward a proposal in 2018 for a potential pilot bikeshare program.” The pilot would last 18 months, start in Spring 2018, and operate at no cost to the municipality. Staff presented a framework of requirements for a bikeshare pilot to Council. This framework was used to evaluate operators. Staff recommended Dropbike be selected as the operator for the pilot in January 2018. Dropbike was the only bikeshare operator to meet our requirements for a bikeshare pilot. How much will bikeshare cost? Dropbike will operate the Kelowna Bikeshare Pilot at no cost to the City. In the event that Dropbike goes bankrupt the City holds refundable financial securities to clear up all bikes. For users, the price should reflect bikeshare in major Canadian cities, roughly $120/year or $25/month, while adding an option for $1/hour for casual use. 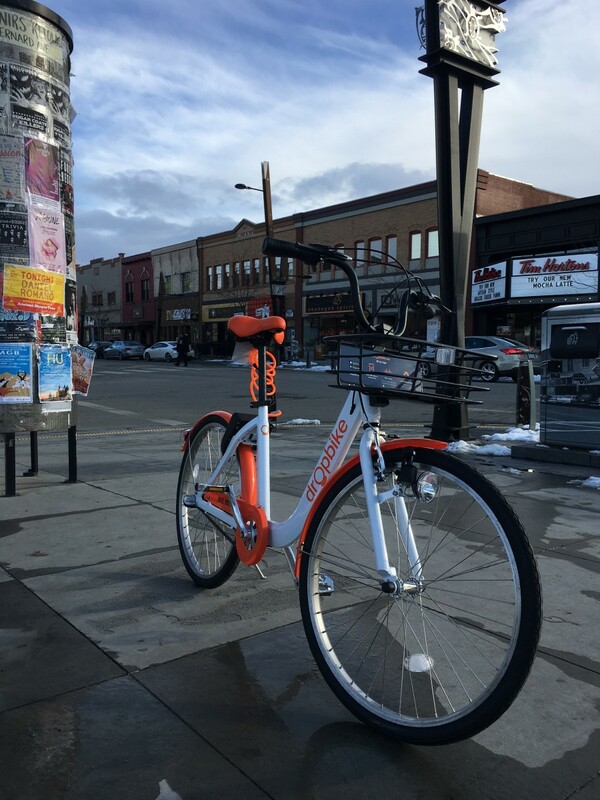 With dockless systems, the technology to locate and unlock the bikes is placed on the bike. Dockless bikes often have an integrated rear wheel lock so that locking to a rack or other structure is not required. GPS devices located within the bikeshare bikes also help to prevent theft. These dockless systems are popular in Asia and increasingly in North America and Europe and typically use a lower cost and less robust style of bike than docked systems. Because of the lack of docking infrastructure and the style of bikes offered, dockless systems tend to be very inexpensive to implement and rent. In turn this has, for the most part, eliminated the need for a government subsidy for these systems, with regards to both capital and operational costs. Why do we need Bikeshare if most people in Kelowna already own bikes? Bikeshare can often be confused for a digital way to rent a bike but it would be a mistake to view it as simply that. The way bikeshare add to the transportation system in other cities is by making a walking trip faster and further. This has incredible benefits for transit riders and short trips under 5km. Over 60% of all trips in Kelowna are under 5km. Additionally, bikeshare will benefit tourists that can extend their reach to destinations past walking distance. How are we ensuring bikeshare won't clutter sidewalks in Kelowna? It is important that Kelowna residents feel as though Bikeshare provides an orderly and an attractive addition to their community. The way we can impact this is through havens. If we ensure that havens are no more than 300 meters apart and delivered in a grid within the service area, we can ensure that a high proportion of trips end in a haven. Additionally, we ensure Dropbike will deliver pricing that puts a bounty on bikes dropped outside of a haven. This incentivizes users to end their trip in a haven and would further guarantee an attractive and orderly system. What is the agreement with Dropbike? Staff negotiated a license agreement with Dropbike for use of our right-of-way to enable them to operate in bikeshare in Kelowna. This agreement helps us preserve accessibility, prevent theft and rebalance bicycles among other things, through the bikeshare pilot. The agreement is in effect for 18 months and enables Dropbike to deploy up to 1500 bikes. Can I get a haven on my private property? If you are a private property owner or manager contact mworona@kelowna.ca for information about locating a bikeshare haven on your property. What is a Bikeshare Haven? Bikeshare havens are locations where bikeshare users can end their trips without incurring an additional fee. Bikeshare users that end their trip outside of a haven are charged a penalty fee. This fee is converted to a bounty on the bike allowing users to return the bike to a haven to earn a credit on their account.